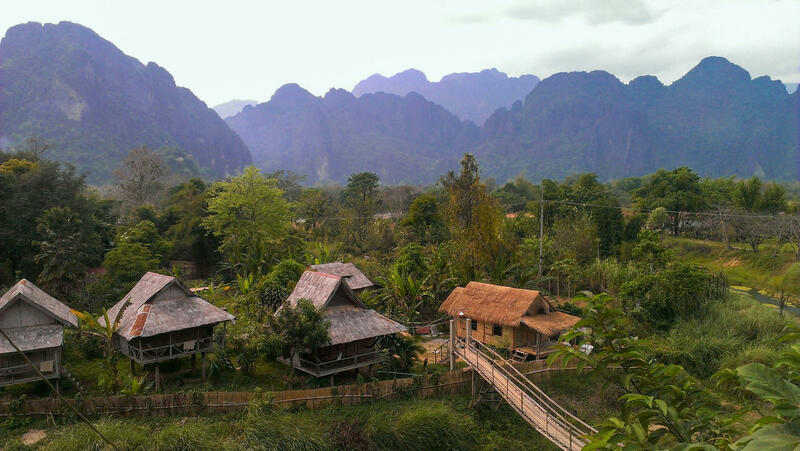 Southeast Asia travel itinerary, Part 2: Laos, Northern Thailand, and Vietnam. 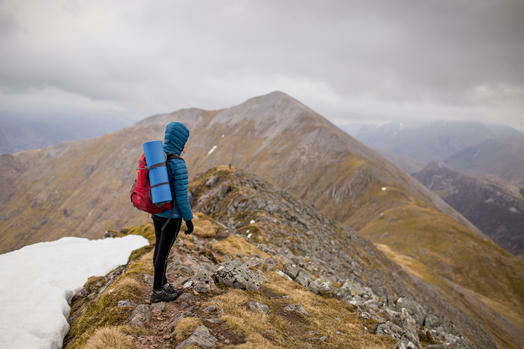 We go off the beaten path! 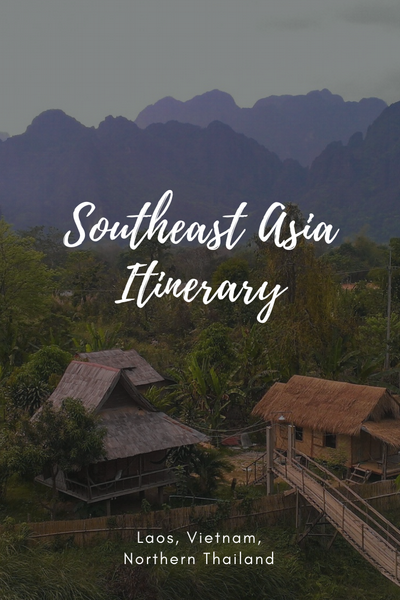 We united all our favourite places in Southeast Asia into an itinerary that is based on easy and fast connections between its points of interest. Following our footsteps, you will see world wonders, visit a party capital hidden in the jungle, listen to the teenage monks chanting in the ancient temples of Asia´s most beautiful town, watch the gibbons, go up the Mekong and get inspired by the tribal fashion! 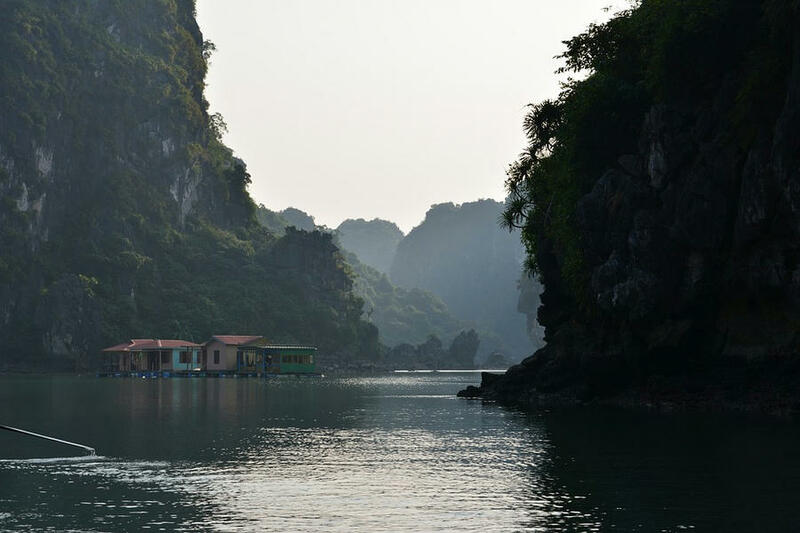 Almost every traveler in Vietnam has Halong Bay on their bucket list – a spectacular natural wonder of limestone islands topped by the jungle. You probably saw it in the James Bond movie Tomorrow Never Dies or in the Kong Skull Island. This Vietnam`s major attraction is certainly worth a visit. However, consider going to less crowded and not less spectacular Bai Tu Long Bay – located close to its famous neighbour. Getting there is easy – there are plenty of tourist agencies in Hanoi offering guided tours. 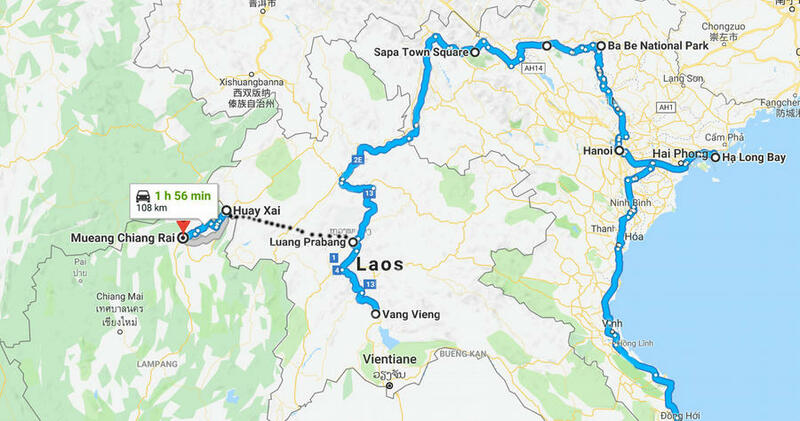 Getting to Laos from Vietnam, you may either take a convenient flight from Hanoi to the capital of Laos Vientiane or, if you are not short on time, you may decide to travel slowly by motorcycle towards the Laos border. Furthermore, if you want to travel South-East Asia by motorcycle, it is better to start your journey in Vietnam. I’ve heard that you are unlikely to have any problem in the neighbouring countries with Vietnamese motorcycles, while it is problematic to bring a motorcycle from Cambodia or Laos to Vietnam. The North of VIetnam is less travelled and quite scenic so that it might be your best chance to get off the beaten path! 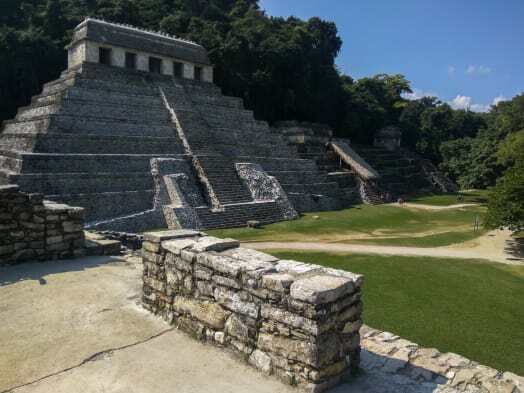 Head to Ba Be National Park for its great outdoors: mountains, waterfalls and rainforest. Explore the spectacular green hills and tribal villages around Sapa, ride through Tram Ton Pass – the highest road pass in Vietnam (2 000 m). 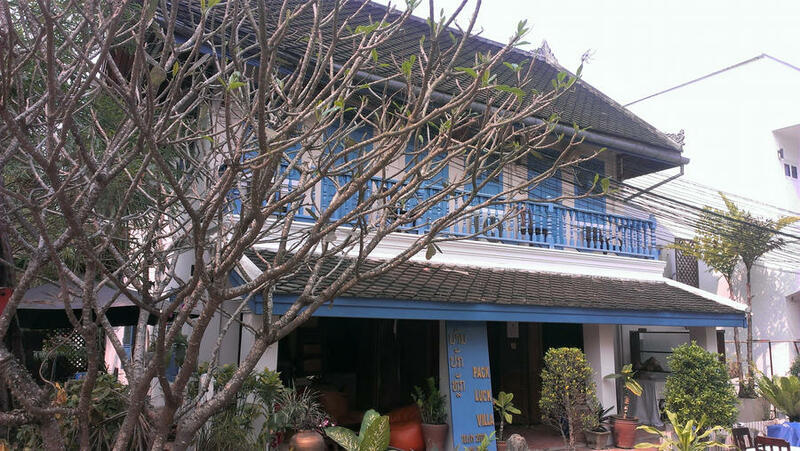 Stay for a day or two in Tam Duong – a historic town situated in a beautiful valley between limestone rocks. Ride past the tea plantations and visit the tribal villages of the Northern Vietnam, heading for the Dien Bien Phu – a border town on the border with Laos. Travelling by bus from Vietnam to Laos, try to get on the bus that crosses the border. Crossing the border on your feet, you will have difficulties travelling onward once in Laos. 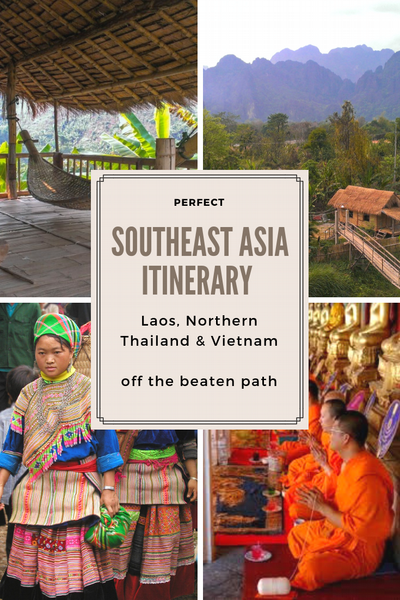 Once in Laos, continue through Muang Khoua, Muang Ngoy and Nong Kiau – peaceful little towns located among the beautiful limestone mountains – towards Luang Prabang or Vang Vieng. If you decided for flying from Hanoi to Vientiane, don’t stay for too long in this busy capital, but take a bus to Vang Vieng. 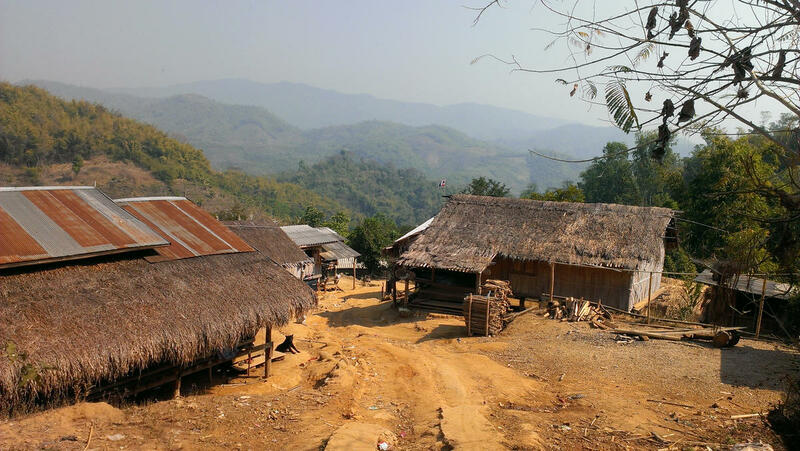 Some decades ago this small village was the party capital of Laos. 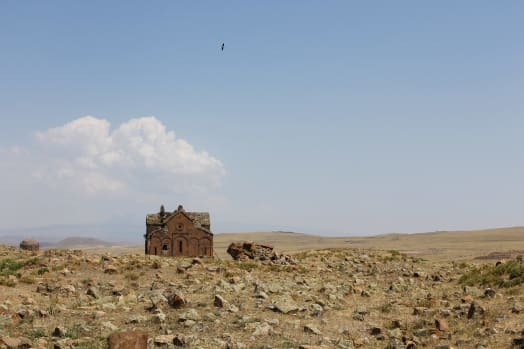 Now, with new regulations imposed on the local clubs and bars, the place has become slower, less wild and dangerous and certainly lost its bad image. Vang Vieng boasts a stunning location in the hills by the river. Apart from notorious tubing along the river bars – a relic of the party past – there are good reasons to travel to Vang Vieng and there is much to see there. You may go trekking in the jungle, climb the rocks, hang out in one of the cool beach bars (for the first time since the beginning of my road trip, I found some good techno music here!) visit the food market, visit one of the numerous lakes around. However, you may find the popular lakes to be really packed. 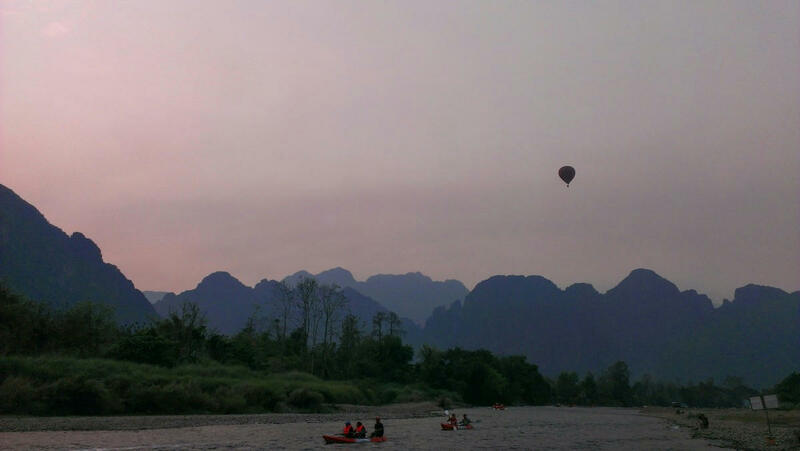 Vang Vieng is also said to be the cheapest place to try hot air ballooning. You may see the balloons rising in the morning skies while the orange-clad monks pass chanting through the streets. Where to stay? Our first choice was Champa Lao. Even though rooms with a private bathroom were few, the view over the river compensated for all the inconveniences. The center of the village is quite crowded, if you prefer a quieter place, you may choose from one of the resorts away from the (former) party village, eg Phoundindaeng Organic Farm. To reach the next stop of the itinerary – Luang Prabang – a beautiful town in the jungle – get on a bus. 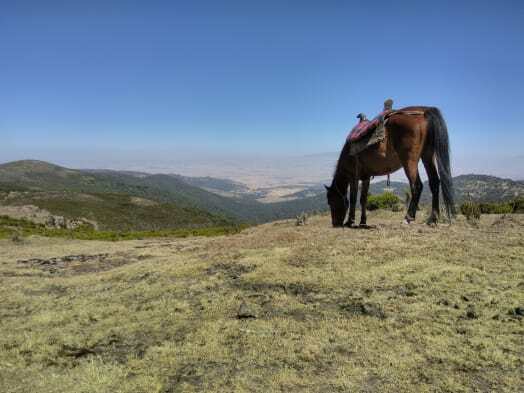 The 5-hour journey will take you across scenic hills enveloped by the dissolving mists. Travelling South East Asia for a month you might have already gotten an idea of what urban spaces in South East Asia are like. Having seen much of Southeast Asia already, we were keen on omitting the cities and towns whenever we could. 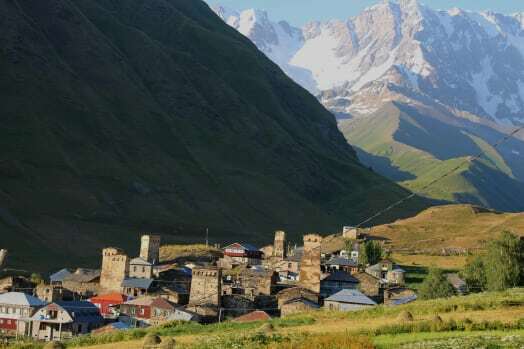 We found more pleasure in the sleepy countryside with its rice and tea plantations, the virgin beaches and mountains treks. But having seen Luang Prabang, we changed our minds on the matter of urban spaces of the Southeast Asia. 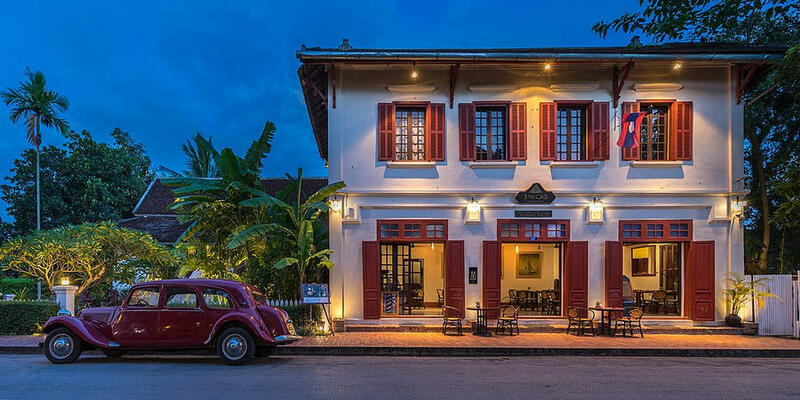 I may even imagine myself moving to Luang Prabang, strolling through its picturesque streets, contemplating in the yards of the beautiful temples, listening to the young monks chant, passing hours in the cozy cafes watching the world go by. As beautiful as it was, the town had its share of tourists, however, it was not overrun like the famous Thai islands. Being located far away from the coast may actually be a blessing for Laos. These thoughts grew even stronger when I boarded a slow boat going up the Mekong. We spent 2 days in the jungle passing just a few villages on our way. That was the journey I wanted to undertake since I’ve seen “Apocalypse Now” and read Konrad`s “Heart of Darkness”. 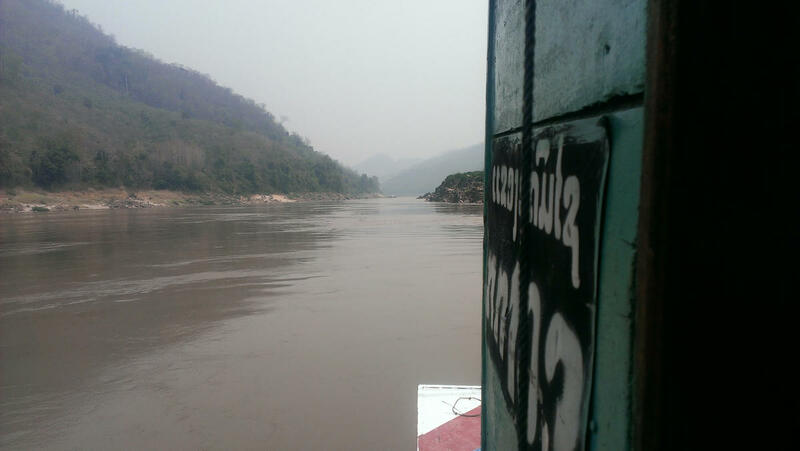 The two-day journey up the Mekong was the highlight of my trip! Going up the Mekong, you may also hire a fast boat and save a day. However, the fast boats are quite loud. Having seen them on my way, I didn’t want to board one. Another circumstance you should consider is that the slow boat may get overbooked. That would not normally mean that you can’t buy your ticket, but that you will be crammed with the other passengers like sheep. It might be a matter of luck if you have some personal space or rather none of it. I would recommend you to stay another day in beautiful Luang Prabang, should your boat appear to be too packed. 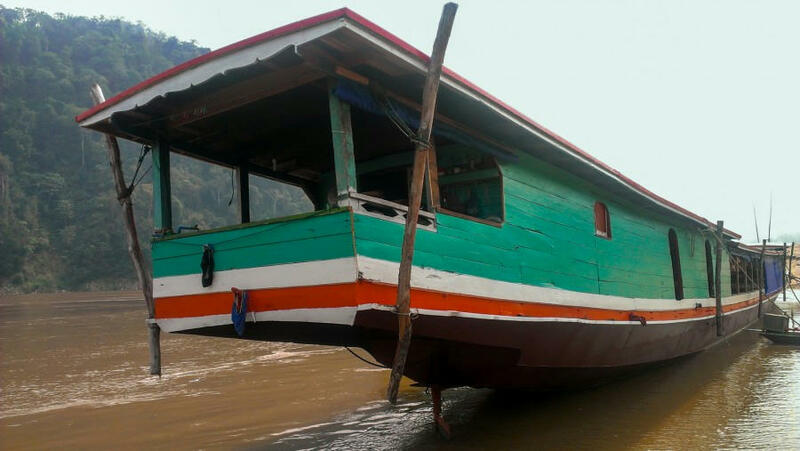 The Mekong boats operate between Luang Prabang and Huay Xai, a town on the border with Thailand. Don’t be in a rush to cross the border – take some time to see the gibbons in the nearby forests. The town itself would strike you as rather pale after you’ve been to Luang Prabang, boasting only the cheapest accommodation I’ve ever encountered. Together with the Spanish girls, we met on the boat, we rented a 4 bed room for as low as 10 EUR a night! Once on the other side of the bridge over the Mekong – the state border – you may easily catch a bus to Chiang Rai. Even when northern Thailand is less famous than the country’s highly praised islands, it is not less worthy of a visit. At least the loud Russian full package tourists mainly don’t travel that far. Leave the town for the jungle, take a chance to explore the indigenous villages and trek the jungle routes. We may certainly recommend the hotel we stayed at as a perfect base for exploring the surroundings – Bamboo Nest. After an hour-long transfer with a 4×4 provided by the hotel, the busy and not-quite-spectacular town stays behind and you may plunge into the relaxing atmosphere of the Chiang Rai countryside. Bamboo Nest. 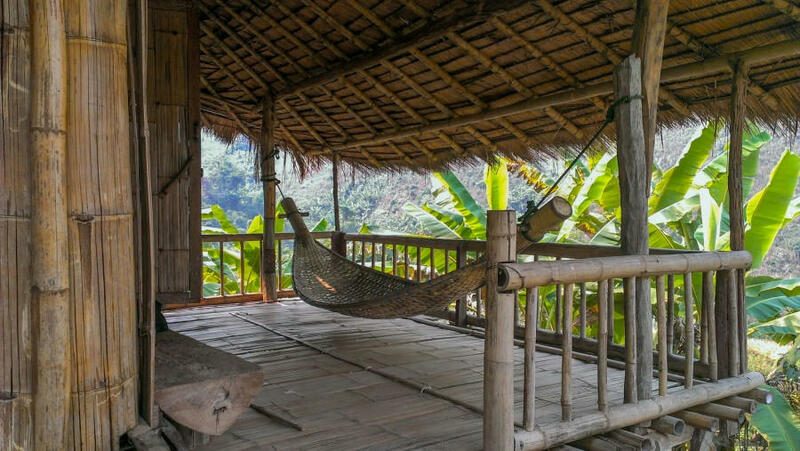 An awesome terrace with a hammock and a great view over the forested hills. Northern Thailand is a perfect place for shopping. 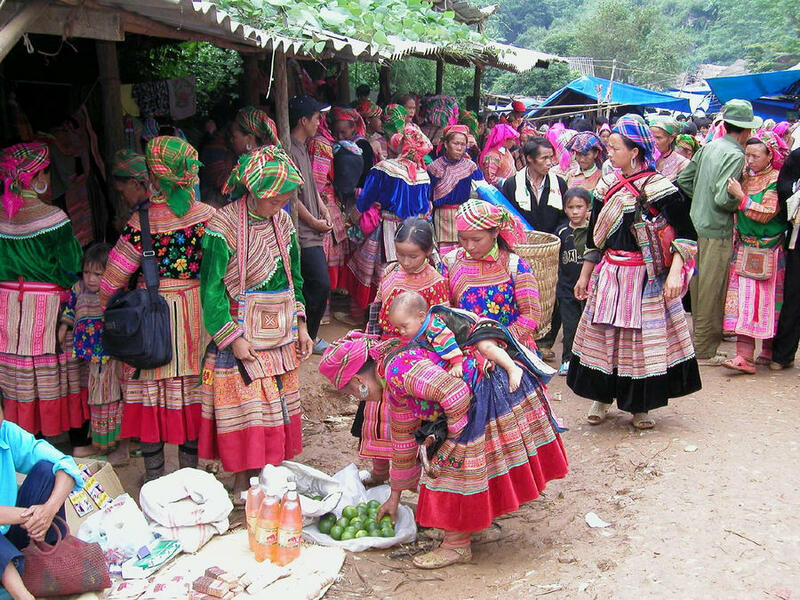 A great fashion discovery I made in Thailand, Laos and Vietnam was a Hmong ethnic style. Hmong jewelry and skirts are just an haute couture work of art! And it takes a great deal of time to produce them: around half a year is needed to handcraft Hmong skirt by hand. 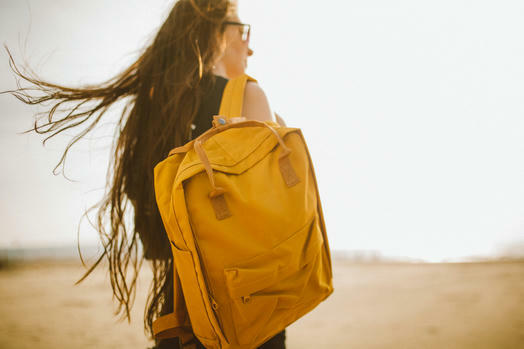 It would be also the best time to do your shopping around Chiang Rai as the itinerary we planned for you concludes with its final destination: Bangkok. Wanna find out about the beach paradise of Thailand Cambodia? Then have a look at – our previous post!